Graphic designers are creative people with many of them working on a freelance basis. They want to project their past works at the first opportunity they get to impress potential clients. For them, to be a master of graphic design is not enough to earn the livelihood. More than that, they need to create a unique graphic design portfolio to draw the client’s attention. 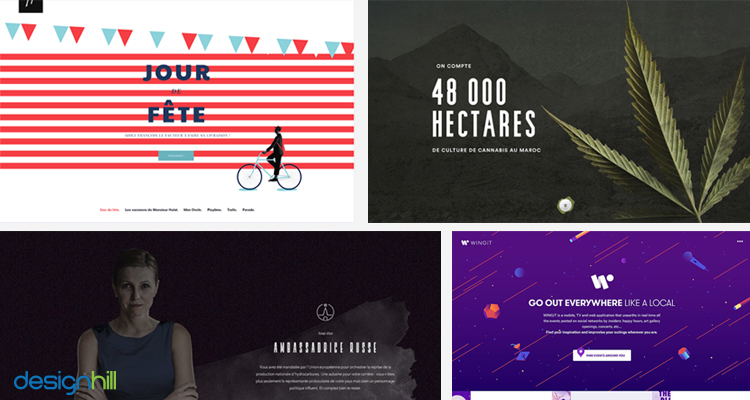 There are uncountable design portfolios on the web. Each portfolio claims to have outstanding designs. They make tall claims due to the tough and competitive market and desire to drive clients’ attention. 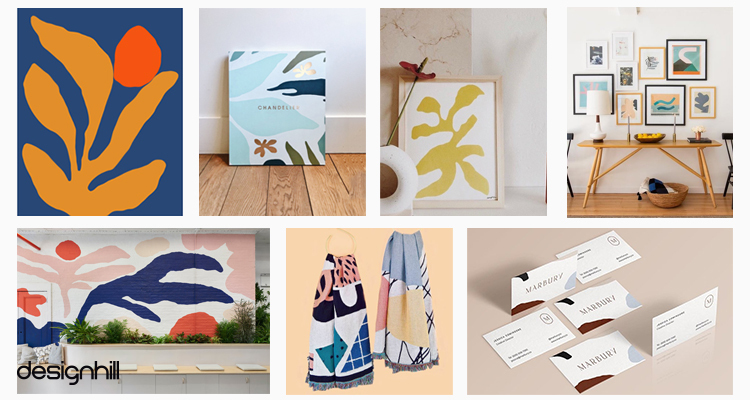 So, what should you be doing to make your design portfolio attract the clients? When creating your graphic design portfolio, consider some key basics. For example, put your best work only in the portfolio. Your potential clients will judge your usefulness for a project based on your past work and design styles. Make sure that you give a context of the work. It would be even better if you can give some case studies with the works. When showcasing your past works, the emphasis should be on versatility. A client would like to see if you have the ability to make style adjustments. So, present your complete breadth of the project. If you can take care of the photography, digital editing, print production etc., mention them in the portfolio. Another most important thing to keep in mind is simplicity. Whichever style of portfolio you follow, it must come out as a simple portfolio. The navigation should be unique but simple. There should be plenty of white space in the background. This allows viewers to focus on the thumbnails that display past works. Kha Von is professional logo designer who has been a regular freelancer at Designhill since over three years now. He has worked with many reputed clients, and has been voted as the winner of contests on several occasions. His passion for designing and his skills made him what he is now, he believes. Von is a natural preference for entrepreneurs looking for graphic design work on Designhill. Peter Komierowski specializes in brand identity creation, illustrations, and interface design. As a visual designer, he has worked for many reputed clients including YouTube and The Huffington Post. His portfolio site is unique in the sense that it has few logo designs. The page has plenty of white space that surrounds the logos. This shows his confidence in his high quality of designs. Want To Create A Winning Portfolio? More than half a million designers from all around the world have benefited from Designhill with our design tips and master guide. Check out some great design work. Find freelance design opportunities, if you are interested. Although the designer has expertise in logo design, he also provides services in UI designing, app designing, packaging design, illustrator designing, and label designing. It’s been over a year that he has joined Designhill. In this one year he has won the title of ‘Best 11 at Designhill’ thrice. Special use of typography, colors, as well as animation, makes this graphic designer portfolio stand out. Merijn Hoss is an illustrator and artist whose portfolio site has psychedelic works of art. The portfolio also shows the designer’s traditional design approach. It has several colorful thumbnails against a white background. The thumbnails come with a short description. ToyFight is a Manchester-based studio that comes with many whizzy effects such as animated transitions, scrolling, and 3D versions of fighters. The portfolio creates a panache and visual humor. The navigational features are joyful. This site is surely one of the unique graphic design portfolio examples. 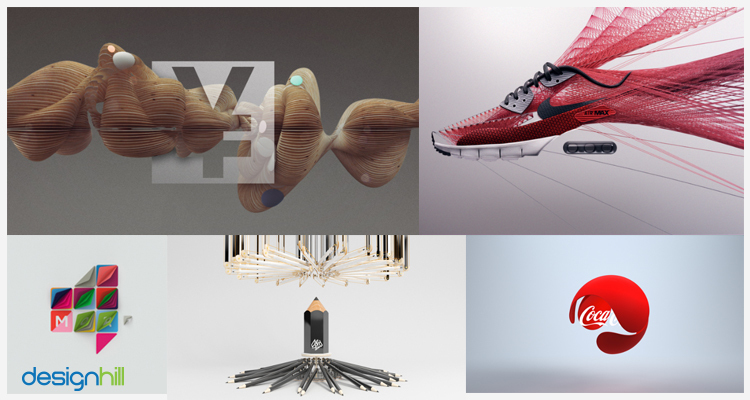 Art Director Tom Biskup’s uses an animated header image in his online portfolio. The image quickly engages the viewer and follows the rest of the site. His work is in animated thumbnails, which are large and static. 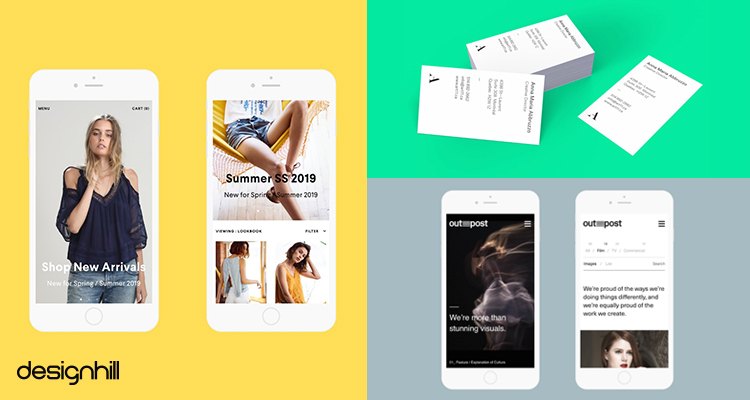 This way, viewers can visit case studies and art direction talent. One of the things you can learn from this portfolio is the judicious use of text, images, and white space. 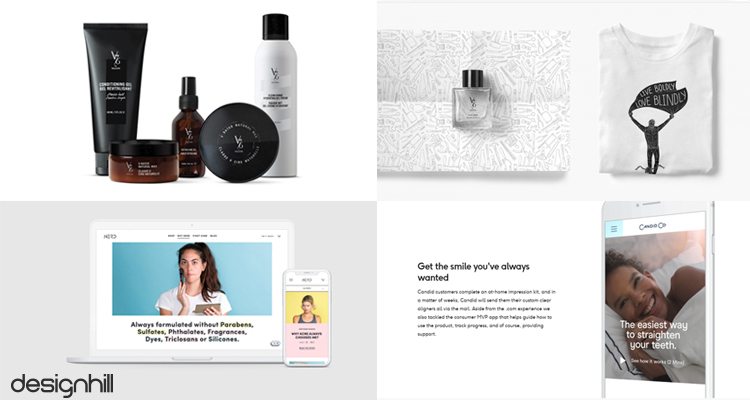 This is how you should create a digital design portfolio that stands out. 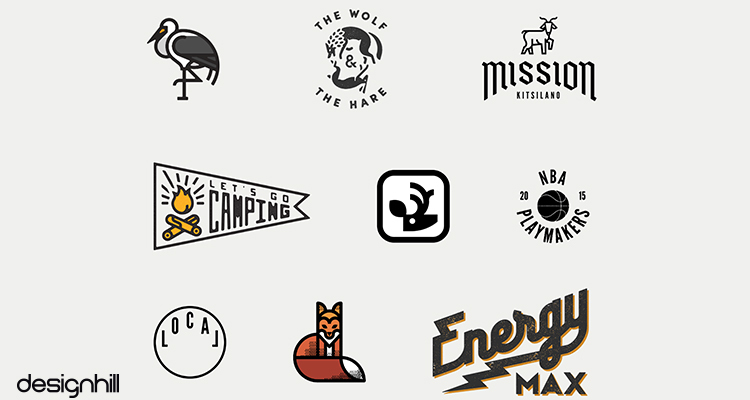 Barcelona-based designer Xavier Cussó has a great portfolio site to display his works. 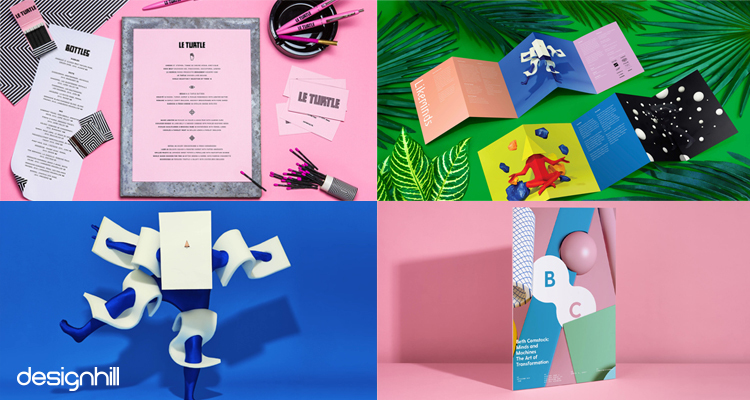 Special use of typography and bold colors, as well as animation, makes this graphic designer portfolio stand out. Wade Jeffrey is an unconventional art director and artist. Wade’s portfolio reflects his works in a personal style. He shows himself snacking, working, etc with details. There are projects section features as well in the portfolio, which looks unconventional. However, you can hire graphic design services of a professional who specializes in creating portfolios. 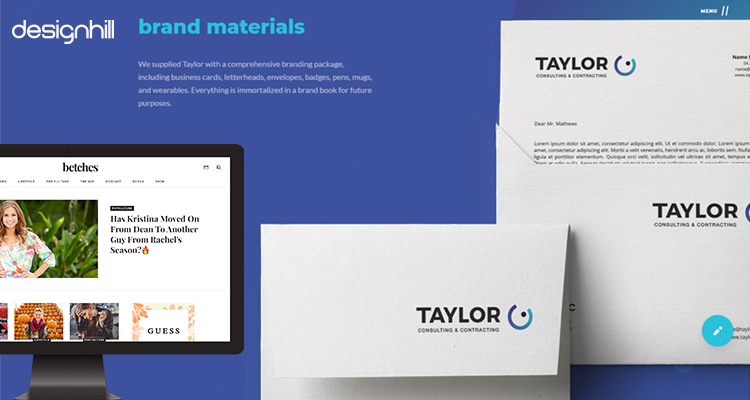 With a professionally designed portfolio, you can expect a consistent stream of clients coming your way. Creative director Roanne Adams founded the NYC-based RoAndCo studio. 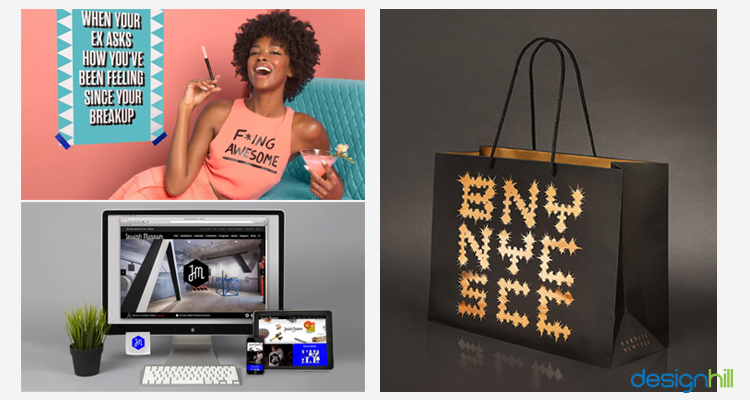 The portfolio has great designs and branding solution for clients from lifestyle, tech, beauty, and fashion industry. Being one of the best portfolio websites, RoAndCo has full-screen video and animated web presentation for viewing pleasure. Mister has this online portfolio site for graphic design uses a bold landing page and white-out-of-black typography to showcase the works. Marleigh Culver has a simple website for showcasing design works. The site seems to be a simple design in terms of layout and navigation, still, it attracts viewers. The portfolio has wise use of type and color choices. There are fast loading large images that add to the attraction. Buzzworthy Studio shows off great typography, animation, and many web techniques to catch the clients’ eye.This studio has an eye for aesthetics, which keeps the visitor glued to the portfolio for a long time. The designer puts only the best past works which is one of the crucial tips to build graphic design portfolios. 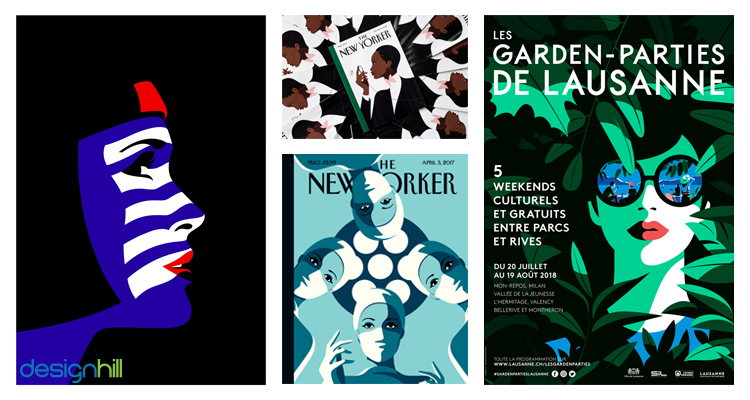 Illustrator Malika Favre has thumbnails in her graphic designer portfolio to showcase her skills and past works. After clicking, the thumbnails show the works in full-screen gallery presentation. The complimentary colored backgrounds make the portfolio further interesting and engaging. If you have no unique idea to create your portfolio, then get the services of a professional graphic designer who has the experience to create your portfolio. Douglas Bowden, aka Panda Yoghurt, is a 3D artist and design director and 3D who created some award-winning motion works. Douglas’s portfolio website has large scale previews. It is an ultra clean with animated rollovers. 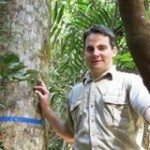 Each project has a clear and concise presentation and description. The site has scrolling navigation against a crisp white background. 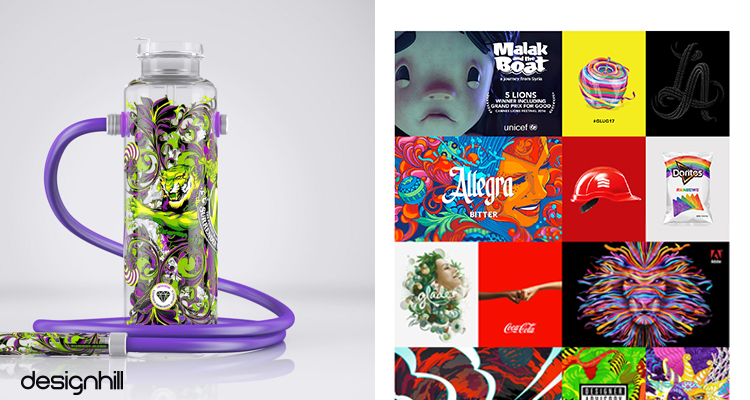 Adhemas Batista is a Brazilian-born graphic design artist who has worked with some of the leading global brands including Coca-Cola and Adidas. 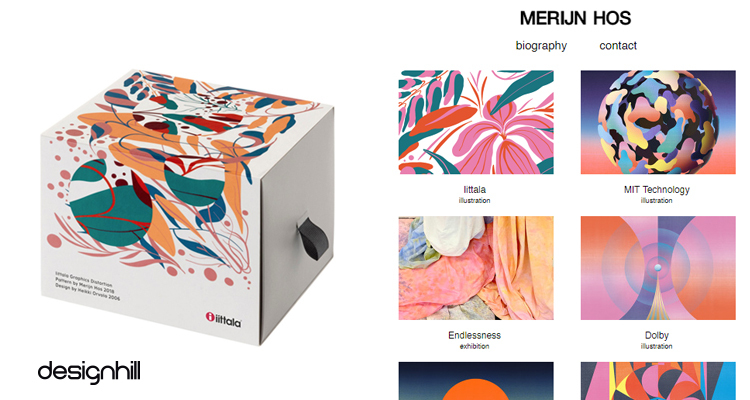 His portfolio site’s landing page has a riot of colors and patterns. Such unique use of the elements helps it rank it amongst the best portfolio websites. 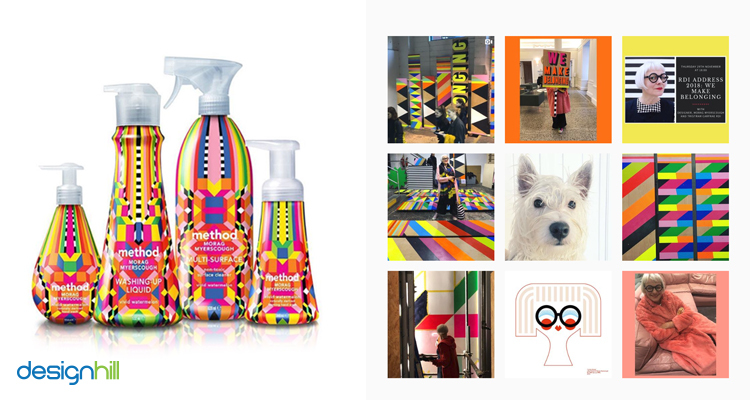 Graphic design artist Morag Myerscough’s online portfolio is unique. It has only three social media icons and the static landing page. The social icons are for her email, Twitter, and Instagram accounts. You visit those accounts to see her latest works and even the design process she follows. 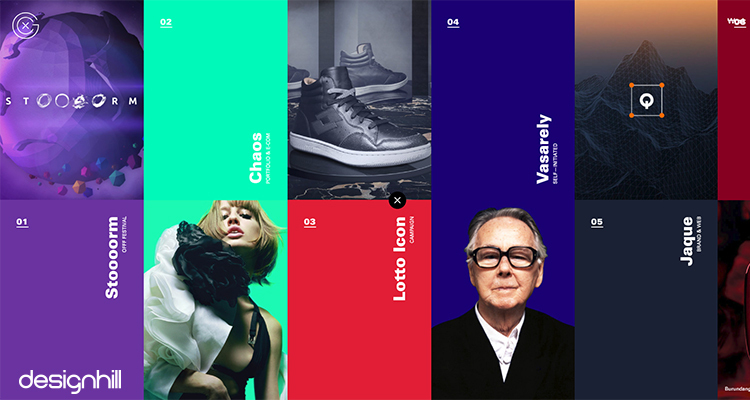 This site is an example of how designers are using social media to promote their works. 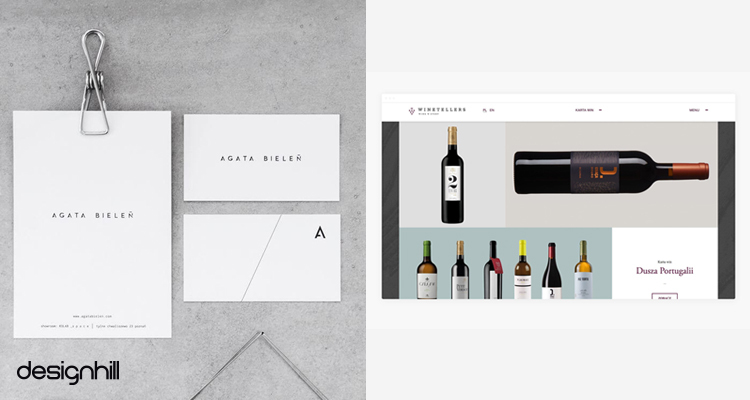 Pollen is a graphic design portfolio for a design agency. The site uses parallax scrolling, full-screen video, thumbnails, and other contemporary techniques.There are large photos of past works of the agency. Sagmeister & Walsh has a live feed which is an innovative concept. The site’s home page innovation is also very strong and unique. The site engages visitors with its navigational features and a clean style. You should look for unique portfolio design ideas. Alternatively, you can hire a freelance graphic designer who has enough experience in creating the portfolios. Pawel Nolbert is a visual artist and designer. His portfolio for graphic design works is a scroll-and-click site. It also shows up mock-ups of applications and works in progress. The portfolio also gives viewers a behind-the-scenes detail to give some insight into the artist’s world. 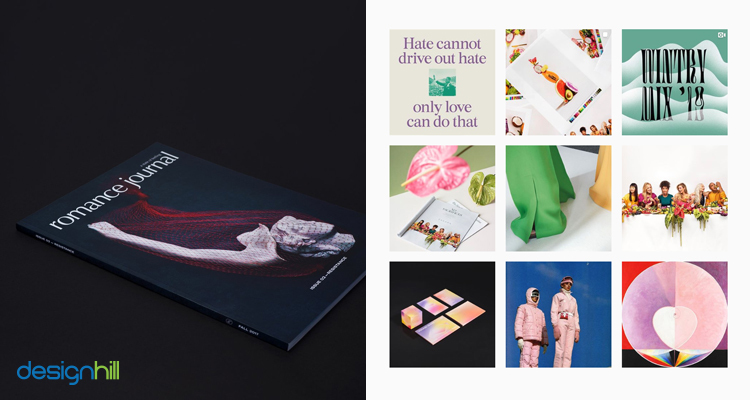 Femme Fatale is a creative studio known for its simplicity and sophistication of graphic design works. 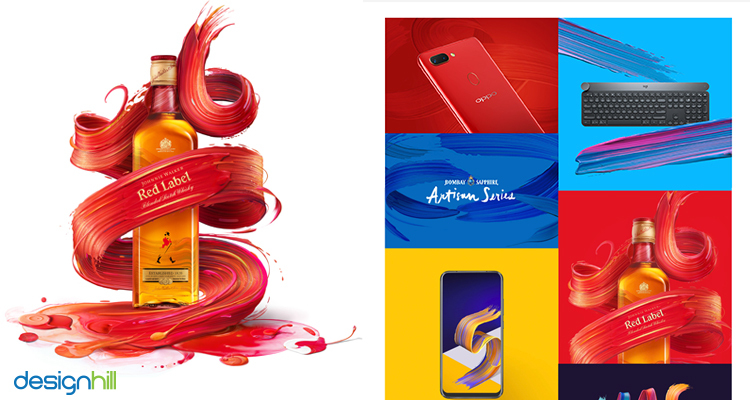 The portfolio site uses a combination of swish parallax effects and bold imagery to showcase the works. 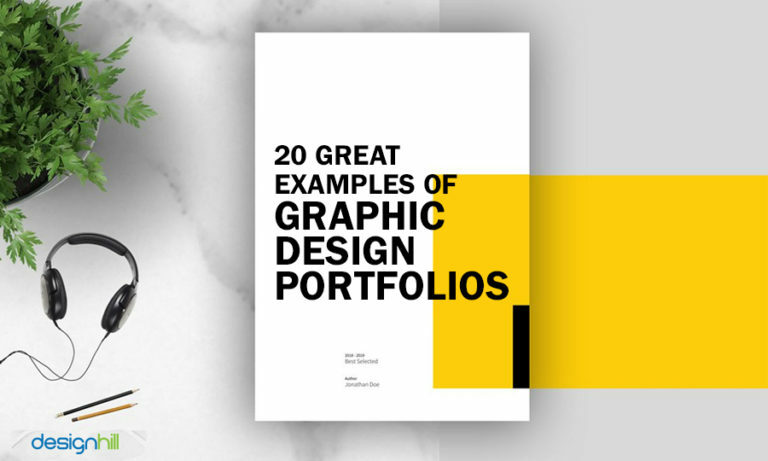 So, these are the key graphic design portfolios that you can follow when creating the one to display your design works. Most of these sites use unique navigational techniques and graphic design trends to engage visitors. 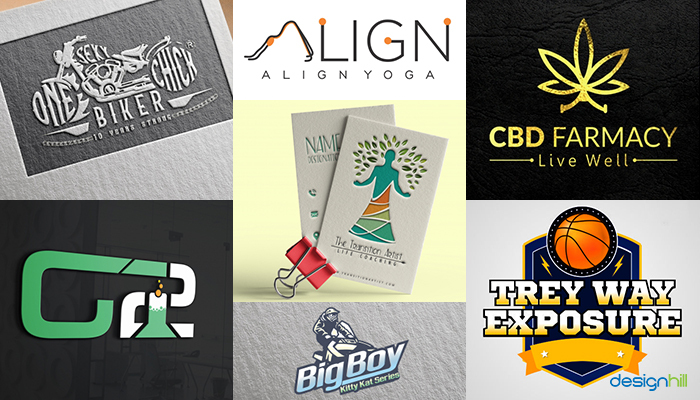 If you are looking for some design works to build your graphic design portfolio, then explore Designhill. This site is full of freelance work for designers from dozens of clients from the world over. You can work for these clients and win prizes as well. In a few months, you can build a sizable body of work to showcase it in your portfolio site. 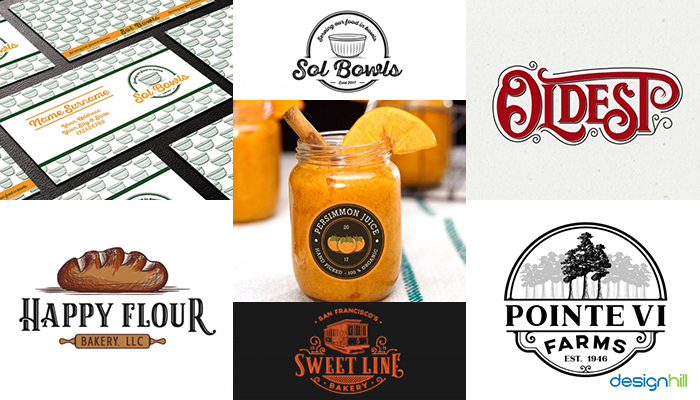 Graphic design portfolios are great sites to showcase design works, skill, and talent. These sites find special mention in our list due to the unique use of navigational techniques and engaging design works.